This stainless steel shelving system is a kit of parts that can be deployed in a variety of configurations. 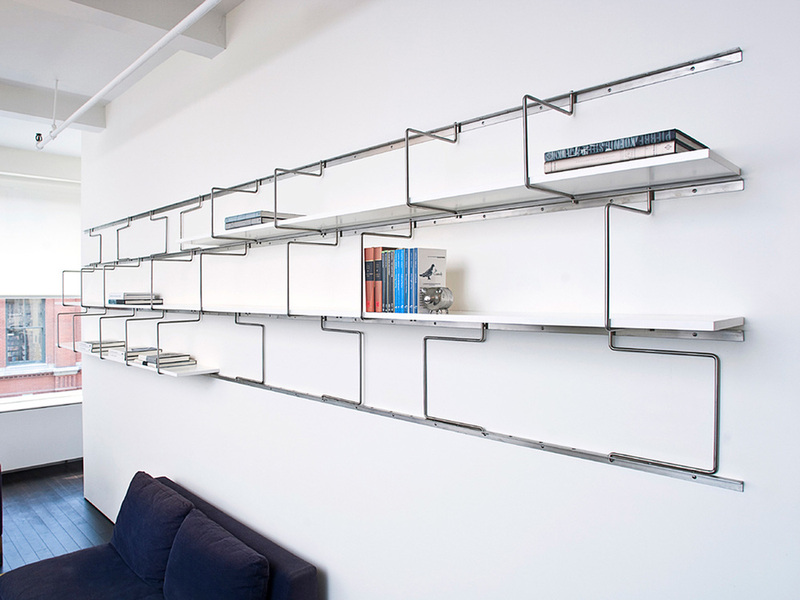 The movable brackets of this shelving system swing out from the wall to provide flexible storage layouts. The bracket can also serve as a bookend and creates a lyrical pattern on the wall.